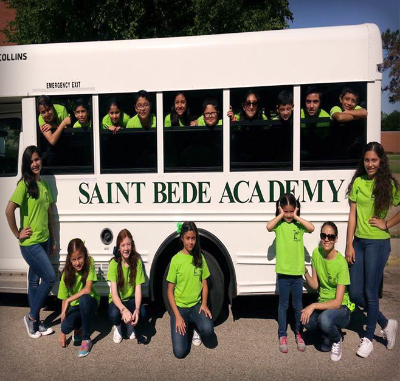 St. Bede Academy offers exciting academic and cultural summer camps on its campus in Peru, Illinois; located 90 miles from Chicago. These unique immersive residential camps are limited to 30 students, both boys and girls, ages 10-14. Dormitory-style accommodations are provided on the peaceful 500-acre campus with 2-3 students per room and common living and study areas. Camp costs include housing, fees and meals while on campus. 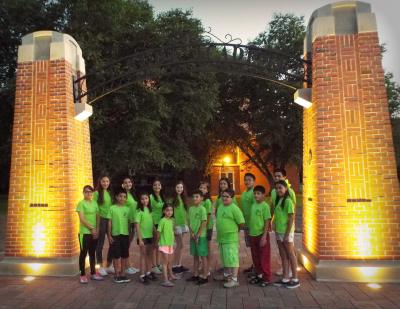 These multi-cultural camps offers children the opportunity to engage in ESL courses taught by American instructors designed to improve English Language skills. A variety of immersion sessions in STEAM, arts & crafts, theater, math, computer and sports are also provided daily. American children included in each session offer daily interaction in the classroom and in the cultural and recreational activities. Weekends provide the campers opportunities to visit nearby Chicago and Peoria to experience world-class museums, restaurants, amusement parks, shopping malls and baseball parks. Local outings in the nearby communities of LaSalle and Peru provide evening trips and numerous opportunities to make new friends with American families and students. 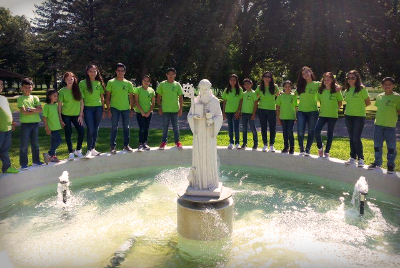 The safe and secure location of St. Bede Academy provides an idyllic environment for the summer camps and supervision is provided during all waking hours on campus with a 6:1 supervision ration provided on all excursions off-campus. Please contact Marcia Wagner for more information including dates, prices and availability.